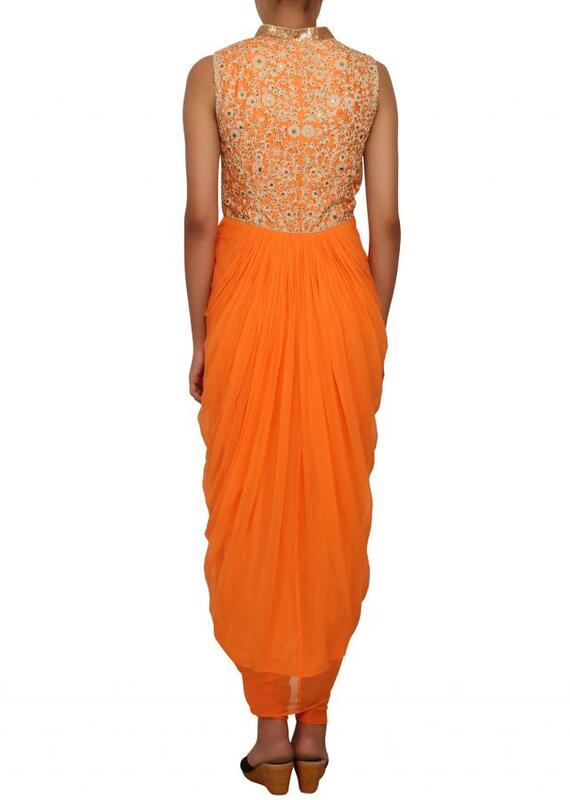 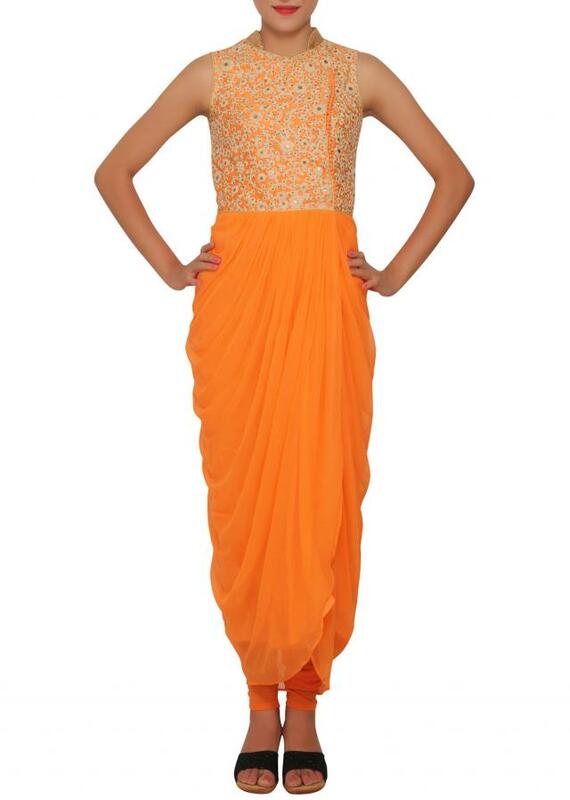 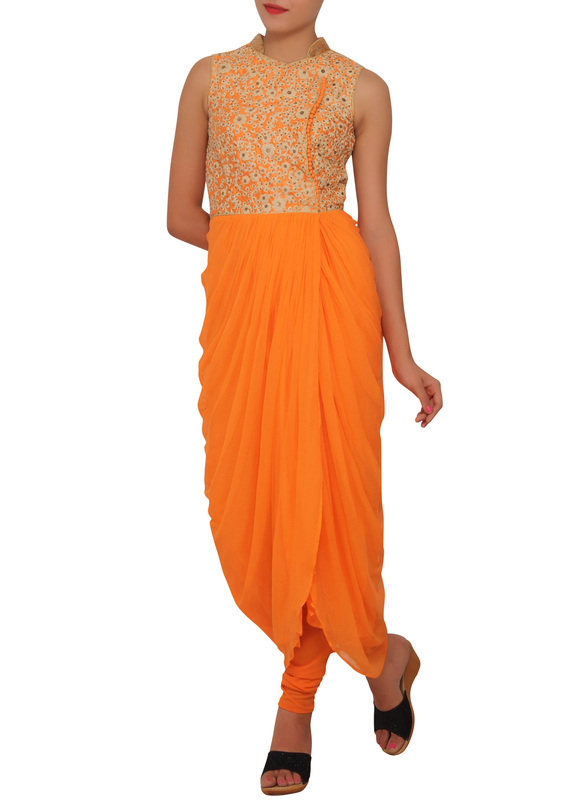 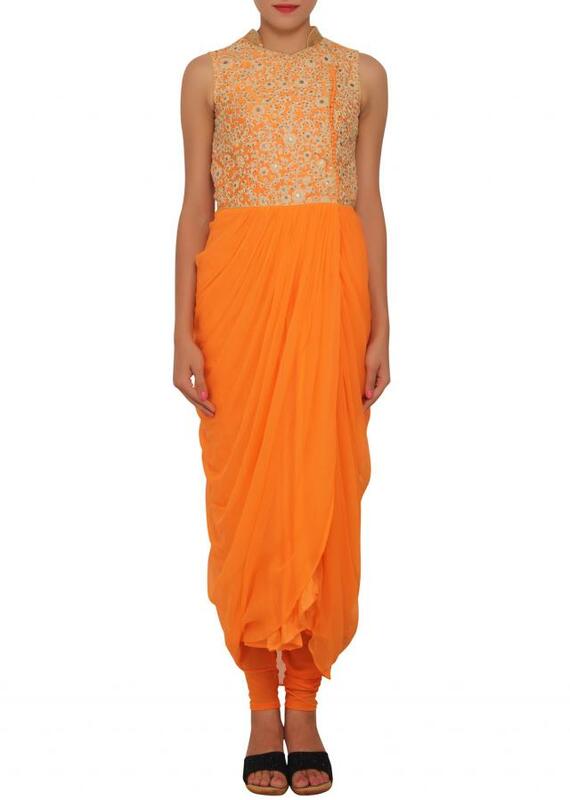 Orange over-lap salwar kameez with cowl drape featured in chiffon. It has a beige floral embroidery on the bodice. It is sleevless and has a fancy chinese collar attached to it. 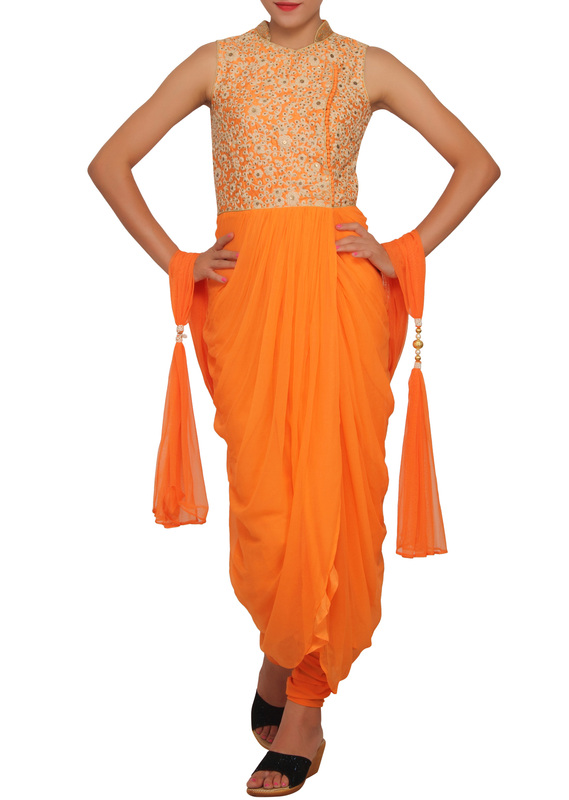 It has an orange lycra churidaar with matching net duppatta.